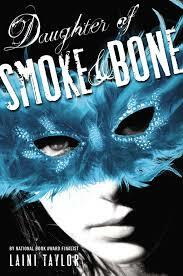 Review: Karou doesn't know who her parents are or where she came from. All she knows is that she was raised by Brimstone, a wish-monger who collects teeth for unknown purposes. Karou is a talented art student who runs errands for Brimstone all around the world. Things change when she meets Akiva, an angel on a mission. This was a fun, YA love story and this series has a lot of potential. The 'insta love' was a little frustrating but overall, I loved the world and the characters. Can't wait to read the next book!